On this day in 1758, Maximilien Robespierre was born in somewhat humble beginnings in Arras. A divisive figure if ever there was one, since opening the salon last year I have met monarchists and Jacobins alike and heard a myriad of differing opinions on the man whose name has come to symbolise the French Revolution. On this, the anniversary of his birth, I thought we would look at an episode early in the young man's life when Robespierre first encountered the king and queen of France, long before he came to power as President of the National Convention. 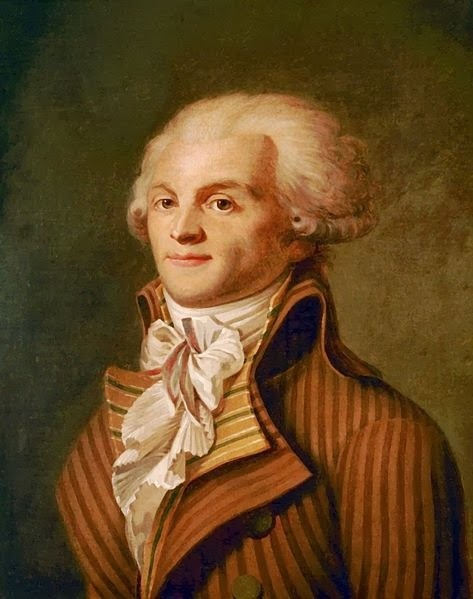 Following the death of his mother when he was six years old, Robespierre was raised by his maternal grandparents as his father left Arras to travel the continent. He was a precociously intelligent child and when he was just eleven years old won a valuable scholarship to study at the Lycée Louis-le-Grand. In Paris the young man flourished; he excelled among even his most illustrious classmates. Here he began to develop the ideas that would become the cornerstone of his adult convictions, studying politics and philosophy and joining a group of young intellectuals who would go on to lead the Revolution. 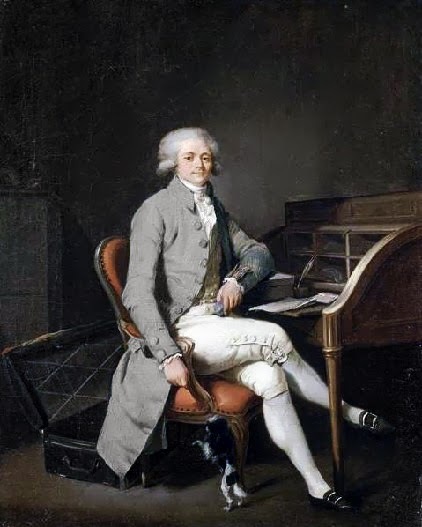 At the age of seventeen Robespierre was chosen above all of his fellow pupils to represent the school when Louis XVI and Marie Antoinette visited the establishment on their return from their recent coronation. Robespierre was to read an address in Latin to welcome the couple and prepared at length for the prestigious engagement. In the event, the royal visitors were delayed by hours and the pupils waited outside in the driving rain to welcome their illustrious audience. When at last they did arrive, Robespierre delivered his address to the carriage, the king and queen having elected not to leave their vehicle. Upon completion of the address the royal couple thanked Robespierre with a smile before their carriage rolled on. No words were exchanged with the young man who had welcomed them to the Lycée Louis-le-Grand. In the centuries that have passed it has been posited that this was a pivotal moment that set Robespierre on his revolutionary journey. Of course, we have no evidence of this fact and indeed, it would be a petty man indeed who nursed such a complaint to the very guillotine itself. Andrzej Seweryn gave an excellent performance as Robespierre in the 1989 (and 5 hour long) historical epic 'La Révolution Française'. He did indeed; Wojciech Pszoniak was also excellent in the role in 'Danton'. An interesting article... Maximilien Robespierre grew up to play an interesting part in the French Revolution. When he entered the political arena he was a radical at the least and a democrat. He defended the rights of all, and that included the poor. and his beliefs won him a reputation. Indeed they did; I wanted to tell the story of a younger Robespierre and something of his formative years. You can find the 1989 'La Révolution Française' in two parts on YouTube, complete with English subtitles. Very well worth watching. The opening scene is Robespierre as a boy making the address to the king.